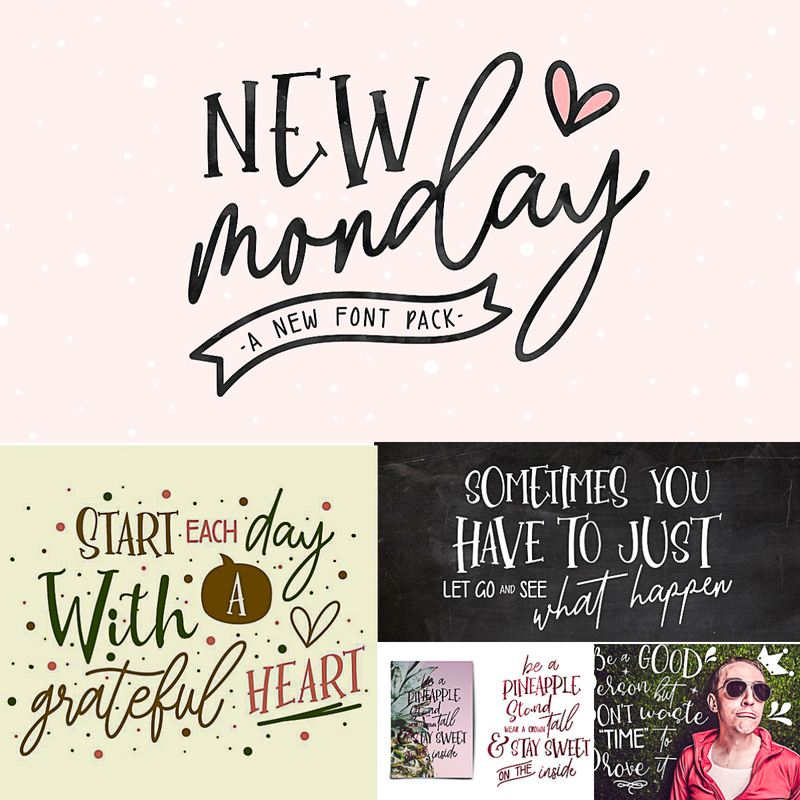 New Monday is a new handwritten font pack, this font is really new and fresh. With four different font characters, you can play your imagination in designing. This font is very easy to use and really playful. 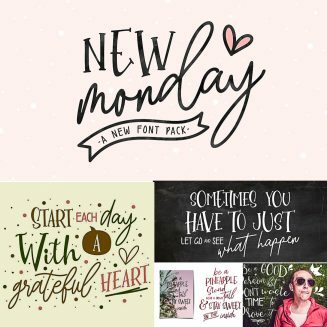 New Monday perfect for logos, printed quotes, invitations, cards, product packaging and another project design. Tags: calligraphy font, cute font, fancy font, font set, font trio, lettering font, modern font, pastel, quotes.